It’s important to consider exactly what you’re hoping to communicate in your video. Is it about a specific product or service your business offers? A general overview of who you are and what you do? Or a related issue that your audience would care about? That last point is key. Pinpoint the intersection of what you want to say and what your audience is interested in. Find a way to express your idea in a way they can relate to their lives or otherwise feel is personal to them. This might require a little research on your part. You could read up online on what your audience is talking about, or survey your current customers to find what attracts them to your business. When it comes to the length of your video, the shorter the better. No matter how informative your 45-minute exposé on the pros and cons of different brands of grout cleaner might be, it’s best to keep things brief. Short videos have a much higher share rate. Think about it - how many times have you been scrolling through Facebook on your phone and clicked on an interesting-looking video, only to close out of it once you realize it’s more than a couple minutes long? If you have too much information to communicate in one video, consider splitting it up into a series. Now that you’ve got your concept fleshed out and a script written, you’ve got a few different options for how to get set-up and prepared to shoot. The first is to shoot it yourself on whatever you might have lying around, like a smartphone. While this isn’t necessarily going to produce the most professional results, with the proper lighting and framing, some smartphones’ video quality might surprise you. Another option is to buy all of the equipment you need, which will usually include a camera, lights, microphones, and more. You’ll also need someone who knows how to use this equipment. This, obviously, is going to be prohibitively expensive for most people. A third option is to hire an outside company to produce your video for you. This is often the best choice, since the cost involved in acquiring the equipment and know-how to create a video is a significant barrier for most people. Full-service agencies like Right Idea Media and Creative (that’s us!) will often have an in-house video-production team. Share your video directly on Twitter. Share your video directly on Facebook. Upload your video to Vimeo. Embed your video into a blog post with a tool like Wistia or YouTube. Email the video to a specifically segmented list. 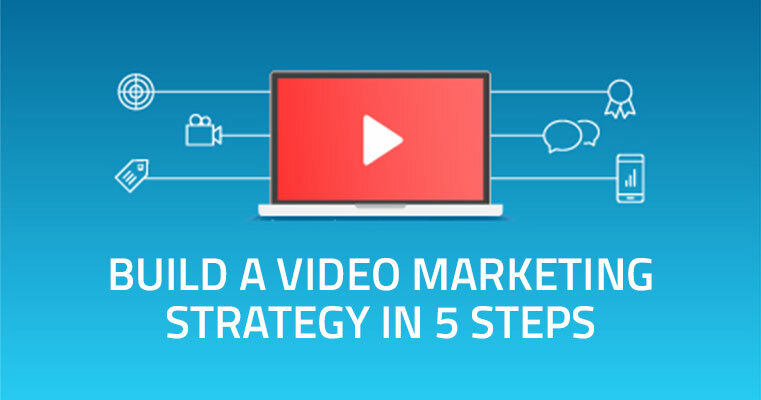 Pair the video with copy that entices people to watch. Convince them that there’s something in it for them if they watch it, like they’ll gain some valuable insight or knowledge that will be useful to them. Add a button so they can share it with their friends, and make it easy to subscribe to future content. Once you’ve made your video vision a reality, sharing it in an engaging way is equally as important. Right Idea Media and Creative can help with every step outlined above, from brainstorming concepts to delivering a quality finished product. Drop us a line anytime!